Information about this excellent family-focused event has recently been received. It’s an event which has run successfully for many years, partly due to the efforts that have been made to prevent CTC (CUK) HQ getting involved in any way, despite it being pretty much a CTC event, organised by CTC people. Full details may be found below. 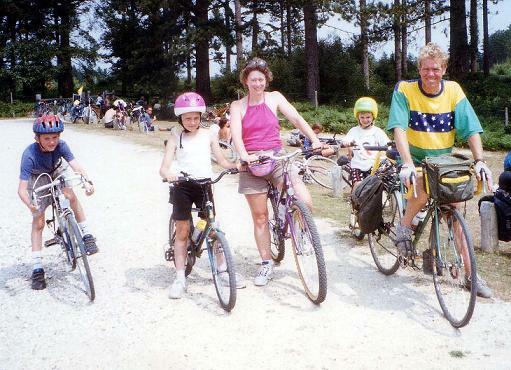 The 42nd New Forest Cycling Rally will again take place at Avon Tyrrell from Friday 28 July until Saturday 5 August. Bookings will once again be made through Avon Tyrrell. Bookings will be open from 1st April, via a special direct web link which will be exclusive to the New Forest Cycling Rally where you make your booking for the rally. Alternatively you can make a telephone booking direct with their bookings team or by post. If telephoning please remember to tell them you are booking for the New Forest Cycling Rally in order for you to take advantage of the special camping fees which they have agreed to give us. We will also have full use of their rally field. Once again we receive tremendous support and cooperation from staff and management at Avon Tyrrell. Besides attending our rally Avon Tyrrell is a great place to consider for holidays at other times of the year. Come with friends and family they will appreciate your support. Please note the logo on the Avon Tyrrell web site has changed from showing CTC to ‘cyclingUK’ which reflects the rebranding which took place in April 2016 and head office have asked us to reflect these change in future information. This week Avon Tyrrell will be finalising the web site, so please do not try to make a booking before the 1st April..
Should you wish to reserve a hook up you will need to speak direct to the Avon Tyrrell bookings team who will give you a reservation number. Priority will be given to campers staying for the week and then 6 nights then 5 nights etc. so that the hook ups are used effectively. Please give the bookings team the following information so they can make up the list. Unit type, ie. Large, Medium or Small Caravan, Campervan or Tent. Any special request, ie camping next to friends? The number of hook ups have been increased to 24, however, 6 hook ups in the copse area which are more suitable for tents. Two weeks before the rally, Avon Tyrrell will send me an email list of hook up reservation. I will then do my best to allocate pitches to each type and size of unit. I will then email you with your pitch number in advance for when you arrive. We have once again booked the Barn Dance for Sunday evening and plan to include complimentary cheese and wine. Monday evening will be our AGM. 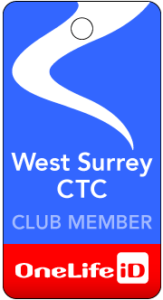 Please bring your CTC/CyclingUK membership card or number to be able to vote. Although we welcome any adult camper to come along. Swimming on Monday and Wednesday. You will still need to reserve your places, but this year there will be no charge made to campers, this cost will be covered by the rally fund for the swimming. We will hire the Calshot Velodrome which is likely to be Monday. Other spontaneous activities run by members. I would like to thank people for their help during the week last year and hope I can count on your support during this years rally to make it another success. Please let us know when you arrive if we can call on your support during the week. Spring is now on it’s way and so I hope you will all be out on your bikes getting fit for he summer! Look forward to seeing you all at this years rally and please spread the word amongst your friends, work colleagues and family to come and join us. Kind Regards and safe cycling.